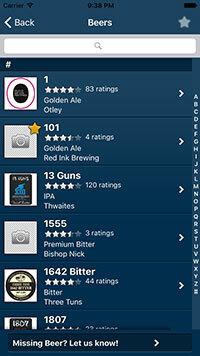 CaskFinder - THE Cask Marque Ale iPhone App. 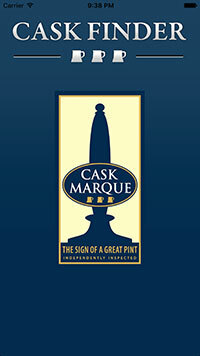 Using Cask Marque’s database of quality accredited pubs and Cyclops’s Beer tasting database, CaskFinder provides a unique means of accessing pub and beer information. 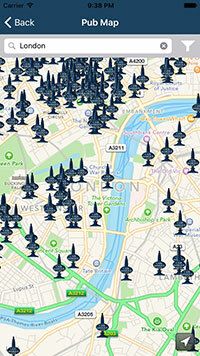 Using the iPhone’s in-built GPS, CaskFinder automatically shows the nearest Cask Marque pubs on a map. Users can search for pubs in specific locations or pan & zoom around the map to find an area of interest. The pub screen shows full contact details and in addition what beers were available when the pub was inspected. Users can select a beer and find out more about it – and it’s brewer – from the Cyclops database. In addition, users can see other beers from the same brewer and search for where they are available. Clicking on an advert can take them directly to a Pub or Brewer website containing specific promotional information. A number of other features are available to engage the user – a “Beer of the Week” feature focussing on a particularly note-worthy beer, a Beer Blog – from award-winning writer Pete Brown - and a Beer Festivals list, showing all upcoming Festivals complete with location, contact details and pricing. More features are already in the development stages, making CaskFinder the must-have application for any iPhone-owning Pub and Cask Ale enthusiast! Download the CaskFinder now! For free. In the AppStore.